This year for the Dulwich festival and open house events I will have my work featured in the very lovely Artemidorus in Herne Hill. You can find a selection of my work including trays and quilts sitting alongside a beautiful curation of British makers including my personal favourite; Sue Ure. Herne Hill has lots of other houses open for the weekend so be sure to make a day of wandering around this leafy part of town. If you are in the mood to meander around Dulwich for the weekend then after your Herne Hill excursion, I highly recommend heading to Sarah Hamilton's house in Peckarman's Wood (which is where I usually reside during the festival). This year you can find, Gabriela Szulman, Snowden Flood and Pauline Amphlett taking up residence in Sarah's amazing Mid-Century house set in the heart of the woods. If you want to find the full list of participants in the Dulwich Festival head to their website, or pick up a copy of the guidebook from a local shop. 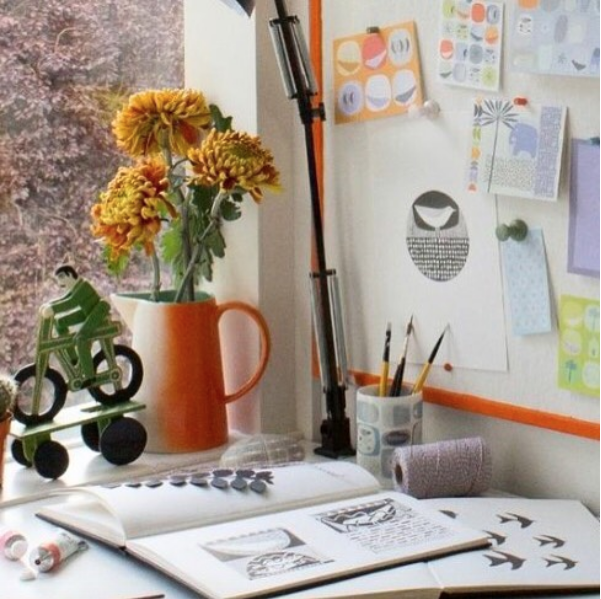 Skim through Sarah's sketchbooks and nosy around her studio at 49 Peckarman's Wood.